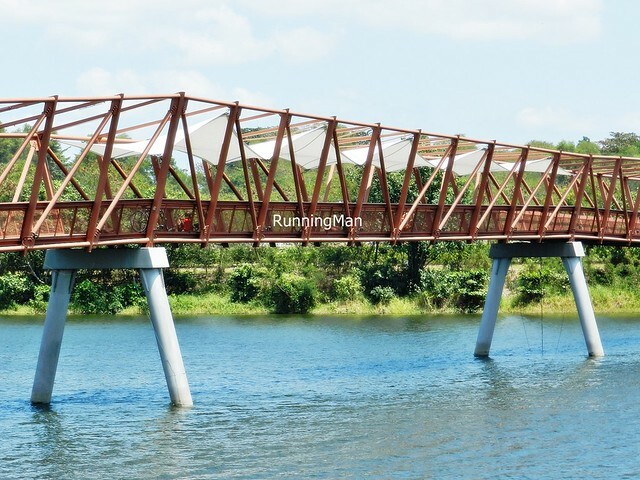 A joint development between the Housing & Development Board (HDB) of Singapore, and the National Parks Board of Singapore, the Punggol Waterway Park is an intiative to turn this area of Punggol into a waterfront town. 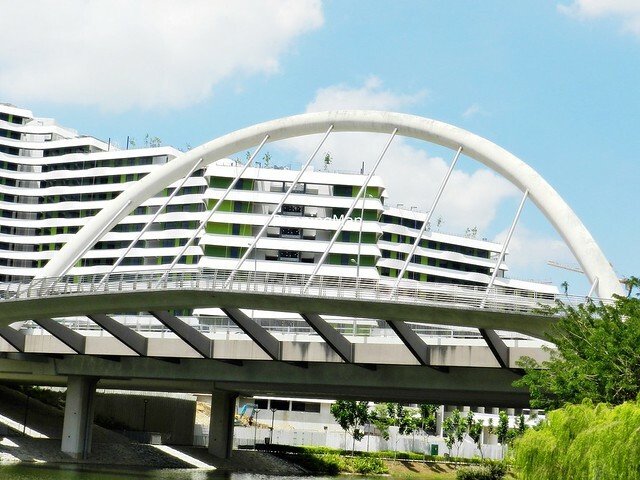 Spanning about 12.25 hectares (122,500 square meters), Punggol Waterway Park features an 8.4 kilometers waterway running through it, the longest man-made waterway in Singapore. 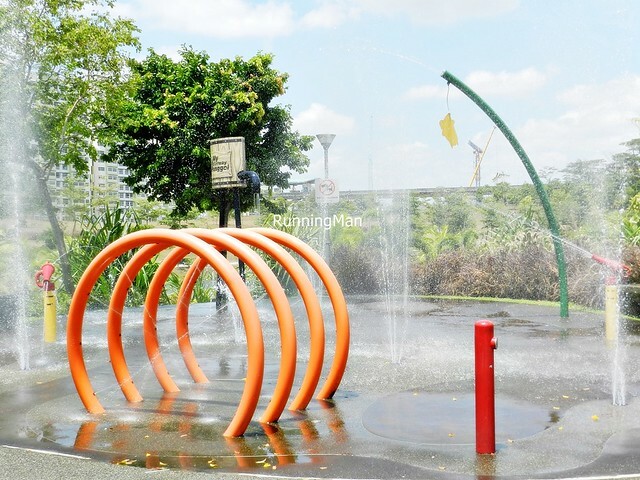 Punggol Waterway Park is segmented into 4 themed zones; Nature Cove, Recreation Zone, Heritage Zone, and Green Gallery. Housing estates, a planned future mall, and future town centre, also front the waterway. 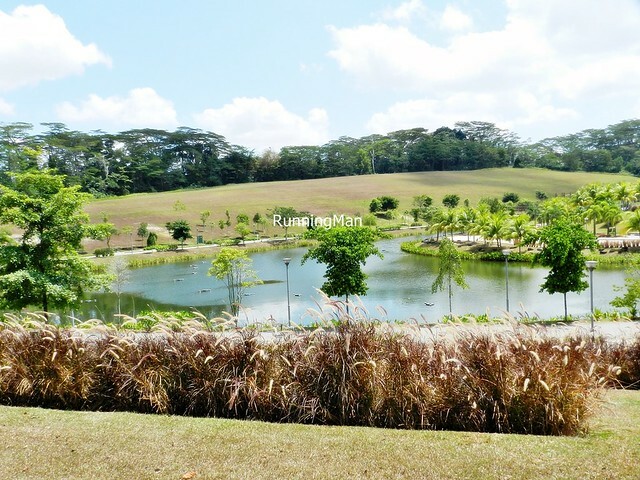 The Nature Cove and Recreation Zone are located in the main area of Punggol Waterway Park. The Nature Cove offers scenic views of the waterfront, and several activity lawns for leisure. 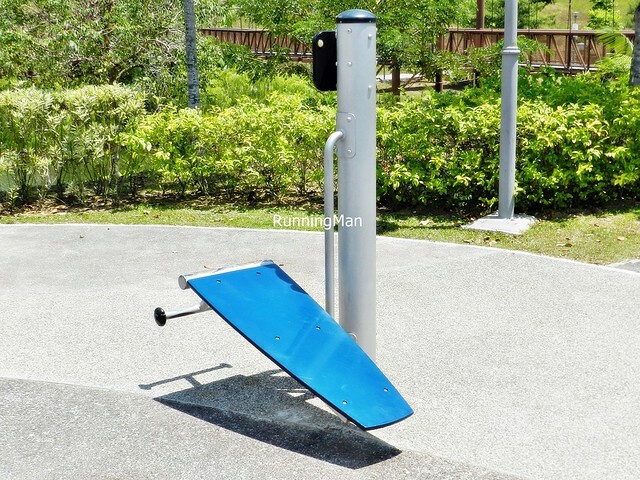 The Recreation Zone has the most activities for families, including the Fitness Corner, Water Play Area, Sand Pit Area, the Watersports Promenade, and the Adventure Bridge, 1 of 5 pedestrian bridges spanning Punggol Waterway Park. 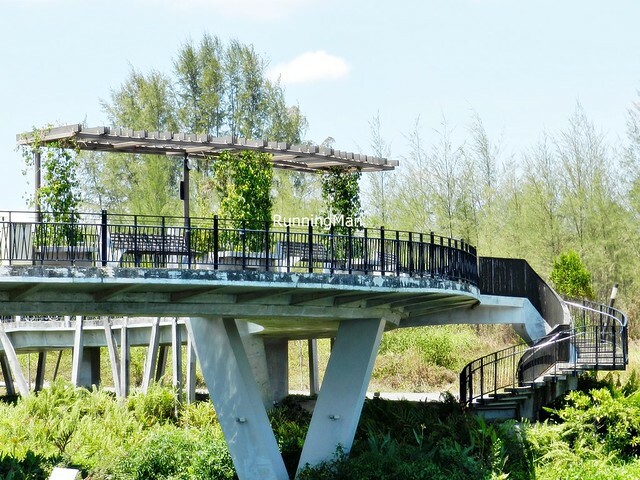 The Heritage Zone lies at the other end of the main area of Punggol Waterway Park, and features a scenic Boardwalk, a Riverside Pavilion, and the Kelong Bridge. 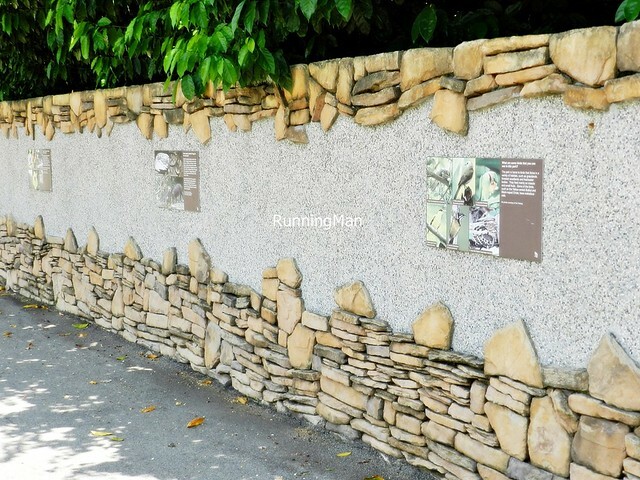 The Old Punggol Heritage Walk here has preserved a stretch of the original Punggol road and bus stop. Look out for The Instagram Tree, a popular wedding photography spot, which features a lone, semi-bald tree on a hill. 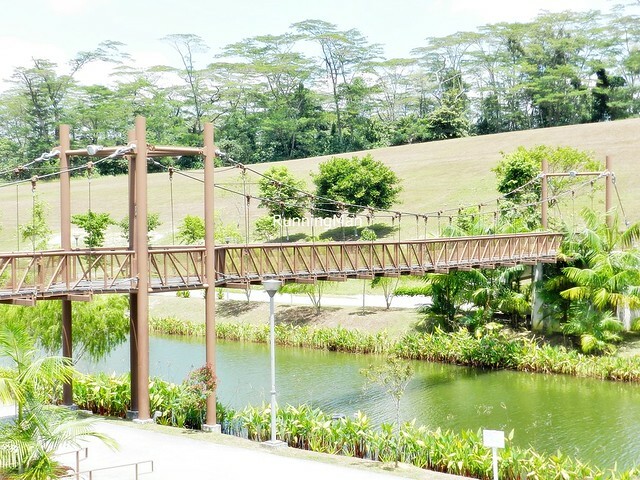 The Green Gallery encompasses the remainder of Punggol Waterway Park. At the eastern end, the Sunrise Bridge in the Sunrise Gateway area is a great place to catch the sunrise, as well as local wildlife like otters. 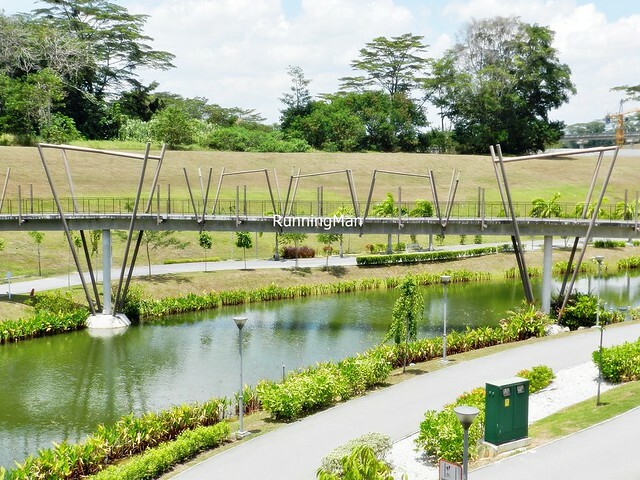 Also located here are the unremarkable Wave Bridge, and the Lorong Halus Wetlands & Bridge. 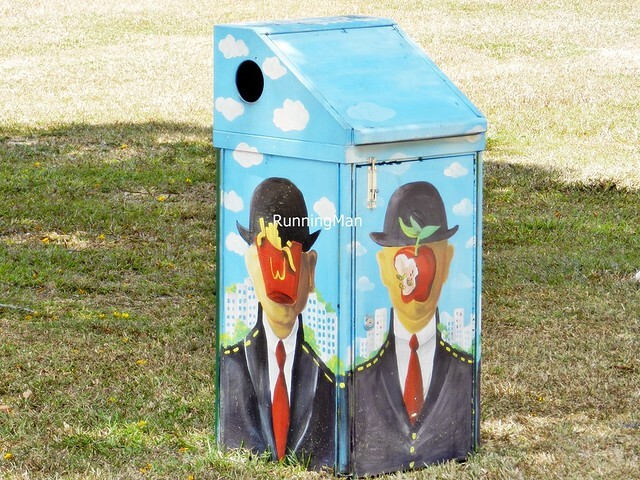 At the western end of Punggol Waterway Park, the Sunset Strip area features a Waterfront Mural Wall, with history, background, and information about local flora and fauna of Punggol. Along the path here is the quirky Accident Mural, featuring robots saying each line. The Jewel Bridge at the end of the path is the best place to catch the sunset. If you're planning a visit, do note that while admission is free, the best time to visit is either early in the morning before sunrise, or just before sunset, and allocate between 1 - 4 hours for viewing. Either wear a good pair of walking shoes and bring lots of water, or do what most locals here do, and rent a bicycle. 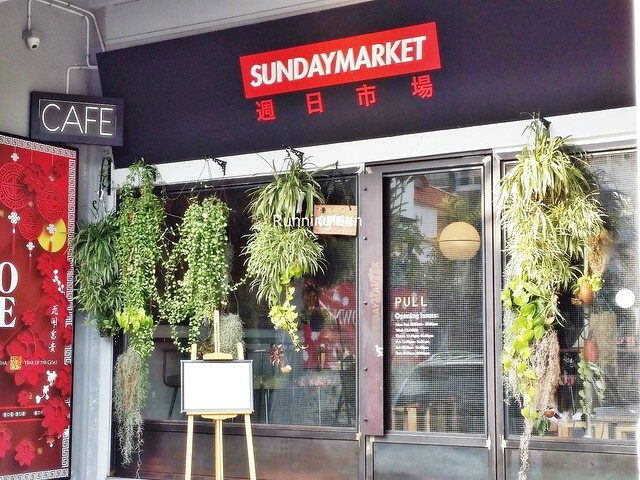 Tucked away in a quiet corner off Upper Serangoon Road, Sunday Market (Cafe) appears non-descript from the outside, but don't be fooled. 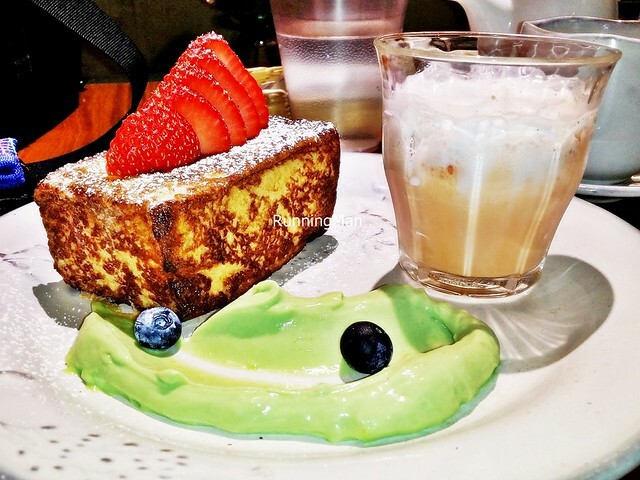 This hidden gem of a cafe offers adventurous fusion food, blending elements of Southeast Asia cuisine with classical American and British influences. 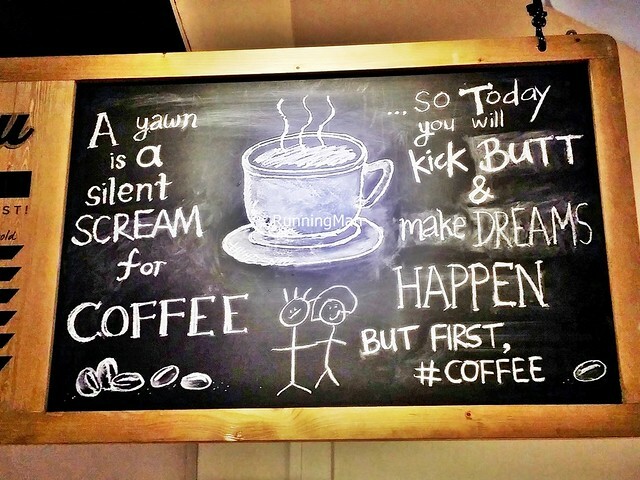 Sunday Market (Cafe) is definitely unafraid of pushing boundaries! Ambeince at Sunday Market (Cafe) is one of the highlights. Some have described the place as quirky, which seemingly doesn't encompass what it is... an organised chaos. Decor is urban street grunge, meets anti-establishment, meets elegant sophistication. Rough brick and unfinished cement walls stand opposed to clean white and red walls. 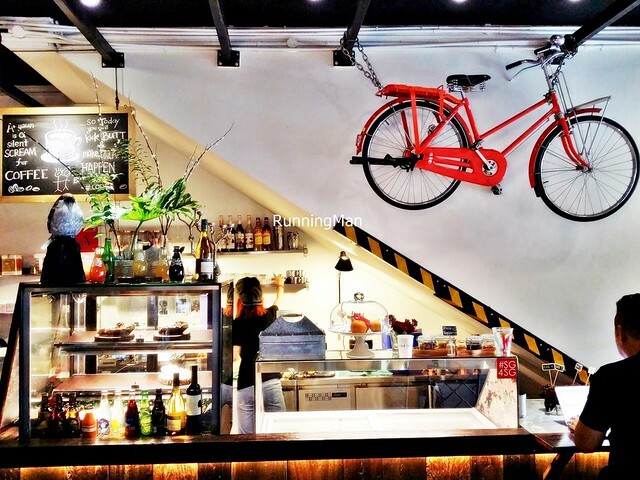 Industrial metal and wooden furniture line the floor, while creeping plants fill the corners, and a bright red bicycle hangs over the dessert counter. 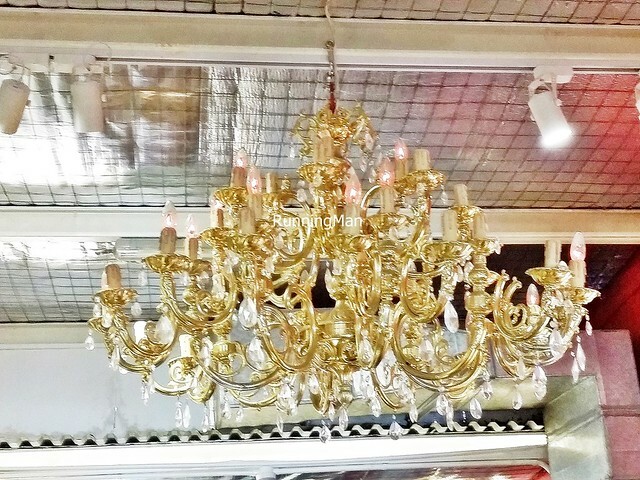 Suddenly, there's an elegant gold chandelier and a giant bird sclupture too. Even the music is random, you could be listening to upbeat mandarin pop one minute, followed by a mellow jazz number the next. 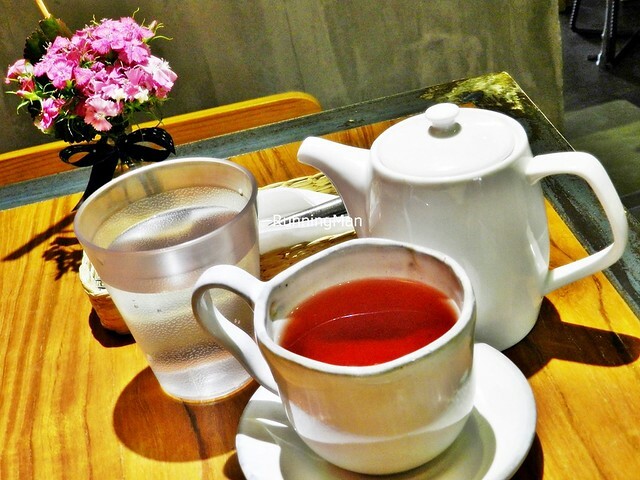 Service at Sunday Market (Cafe) is pretty good. The young staff are upbeat and proactive, quick in seating you and taking orders, as well as being able to recommend items from the menu. I like that Sunday Market (Cafe) offers tableside service, they even help top up your water glass! They even come around to warn you if the parking attendant shows up, which I understand happens rather frequently in this area! 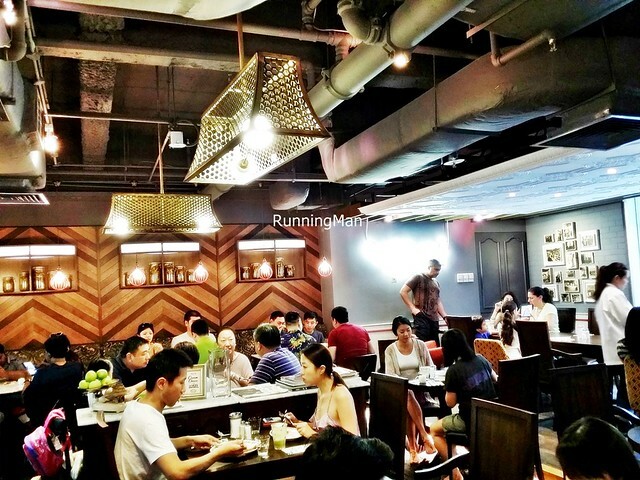 Food at Sunday Market (Cafe) is fusion, Singapore style. 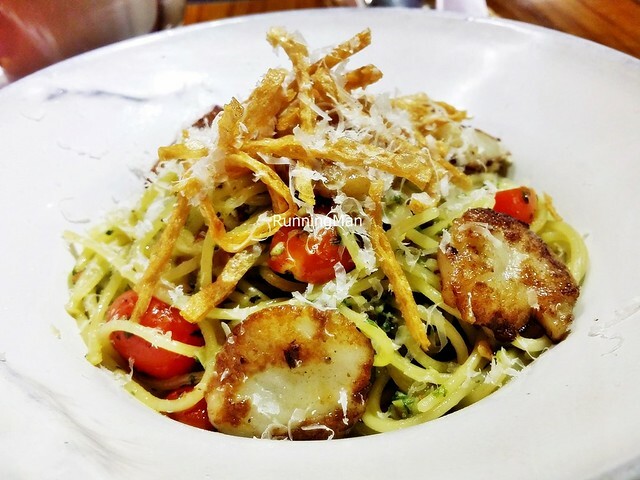 Each dish is creative, with many items here being handmade. However, taste can sometimes be hit and miss, and is rather subjective as their food is experimental. Portions are big enough for 1 person, and prices are at the upper end for a cafe, budget about SGD $29 per person for a meal at Sunday Market (Cafe). The decor here is clashing, but doesn't seem garish, and in fact, the place has a chill, laid back vibe to it. There are so many focal points to look at here, and even the background music fits the organised chaos theme. 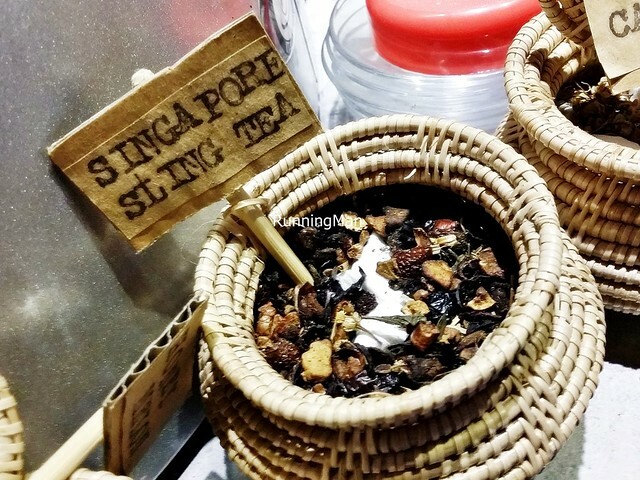 The Singapore Sling Tea (SGD $5) is inspired by the iconic Singapore Sling Cocktail created by Raffles Hotel bartender Mr. Ngiam Tong Boon, and has that same rich scarlet / pink colour. Taste has elements of fruity with a bitter finish, but lacks that punchy feel of the regular cocktail. 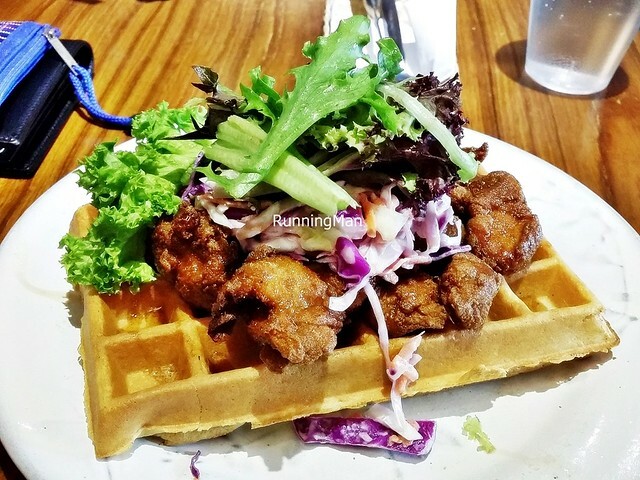 The Chicken Little (SGD $11.90) features crisp fried chicken tenders and a creamy home made coleslaw on a fragrant waffle, drizzled with chipotle maple syrup. The weakest part of this dish was the waffle, while it was incredibly fragrant and crisp, it was also dry. I loved the home made coleslaw, which was fresh and slightly sweet in taste. The chicken tenders were moist and savoury, tender in texture, but the kick was the savoury curry spice used as the batter. Great, I wish I could order just the chicken tenders alone! 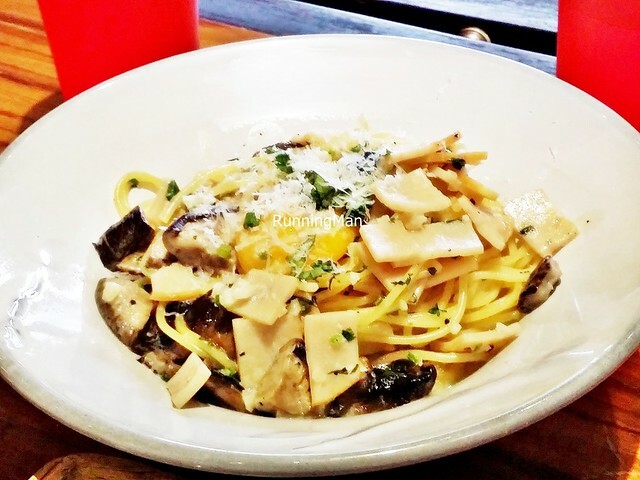 The Spaghetti Ala Carbonara (SGD $14.90) features spaghetti done al-dente, with diced chicken ham, shiitake mushrooms, cream, scallions, and a runny egg yolk, topped with grated parmigiano cheese. The toppings of chicken ham and mushrooms are rather average, but I like that the egg mixed into the cream sauce becomes properly thick and filling. Decent. 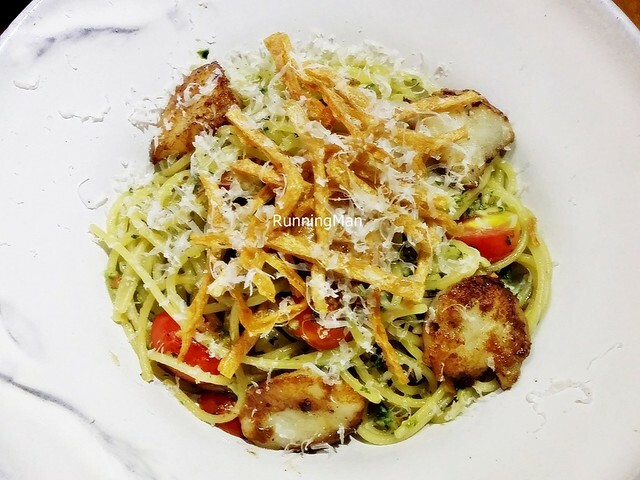 The Asian Pesto Pasta (SGD $15.90) has spaghetti tossed in a savoury pesto made with coriander, cashew nuts, garlic, and chili, garnished with crispy fish flakes, cherry tomatoes, grated Parmigiano cheese, and finished with pan seared scallops. I thought the scallops were a tad overseasoned and salty, and it looks a little thin, like it was sliced in half. But the pasta is tasty, though it starts to get more oily near the end. 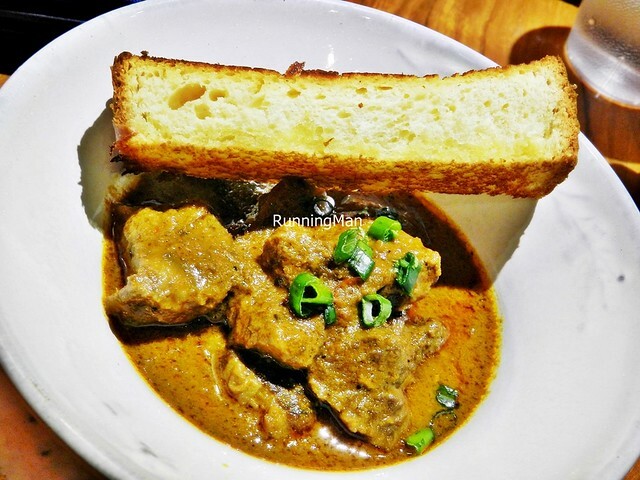 The Beef Rendang Toast (SGD $15.90) is only available as a weekend brunch dish, and is well worth ordering. Chunks of tender beef striploin, marinated in a savoury, spiced rendang gravy, extremely tasty and flavourful! Served with crisp buttered brioche toast strips, which you dip into the incredibly fragrant and aromatic rendang gravy / curry before eating... Highly recommended! 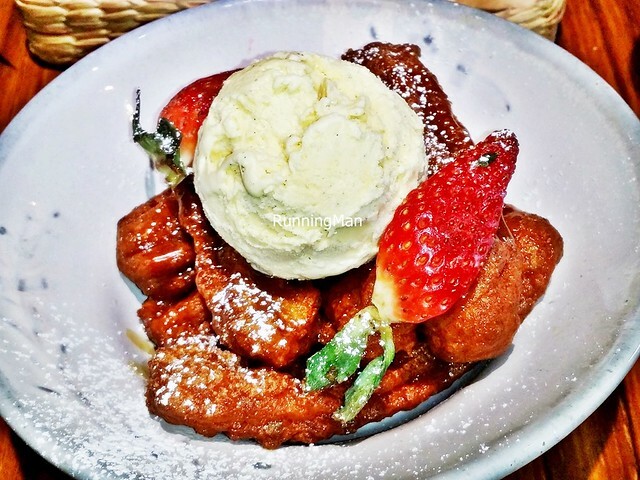 The Bangkok Toast (SGD $10.90) is the house signature dessert. 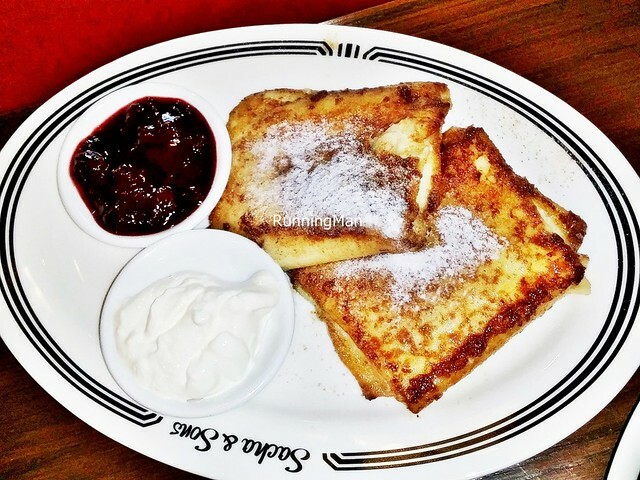 A thick slab of sweet brioche toast, filled with a sweet milky cream, dusted with cinnamon sugar and topped with strawberries, is the star on the plate, and good enough to eat on its own. Alongside is a smooth green tea custard garnished with blueberries, and I'm surprised it doesn't have that powdery texture usually associated with matcha desserts. The weakest element is the Thai milk tea ice cream, while the home made ice cream retains the flavour of an authentic Thai milk tea, it had more ice crystals instead of a smooth milky texture. 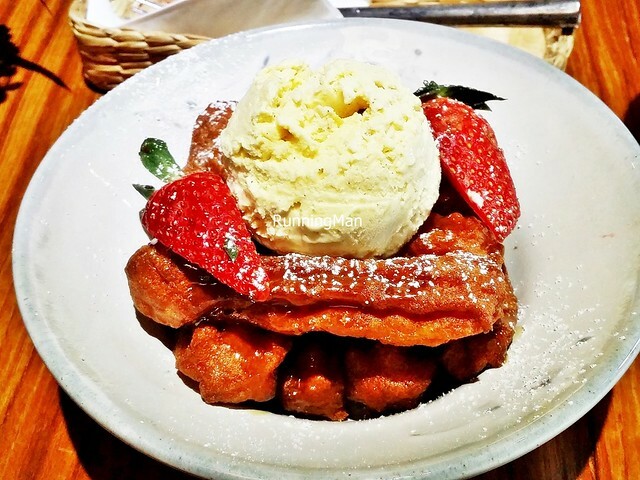 The Churros Amigos (SGD $8.90) feature churros made with sweet potato, then deep fried till crisp. Love that it has a soft, doughy centre, and the crisp skin still retains that flavour of sweet potato, rather unique! 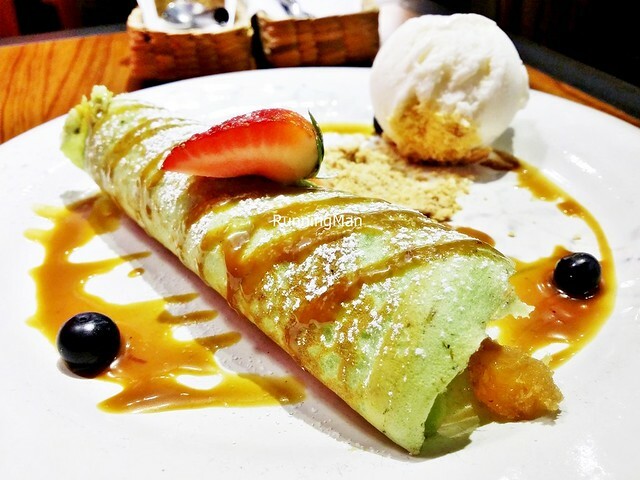 Served topped with strawberries and a rich, sweet, thick, gula melaka / palm sugar cream glaze. Also loved the sweet and creamy scoop of vanilla ice cream, which I understand is home made! The Coco Loco (SGD $10.90) is a great experimental fusion dessert here. 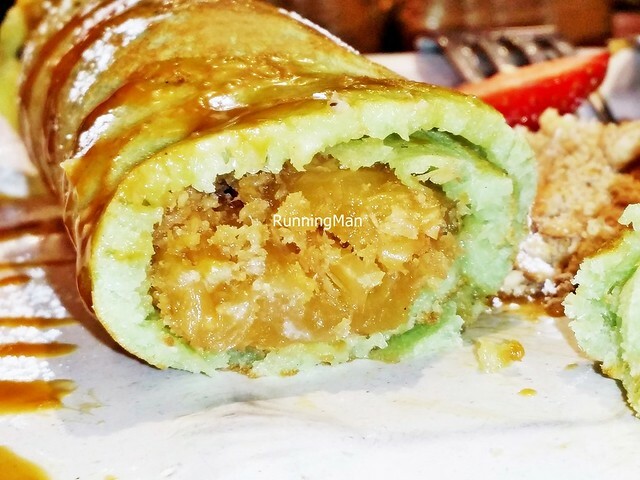 A thick pandan / screwpine leaf pancake, like the skin of a Malay Kueh Dadar, is stuffed with sweet caramelised pineapples that have been coated in dessicated coconut. Glazed with a sweet, sticky Gula Melaka / palm sugar syrup, and served with strawberries, blueberries, and a home made coconut ice cream. Lovely, tasty, and very satisfiying, almost like a premium version of Kueh Dadar! 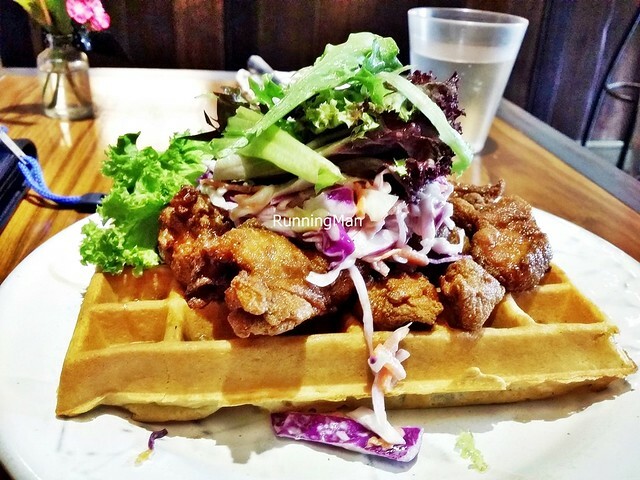 Stephanie Hancock and Guy Wachs are among the pioneers of the Brunch craze in Singapore. 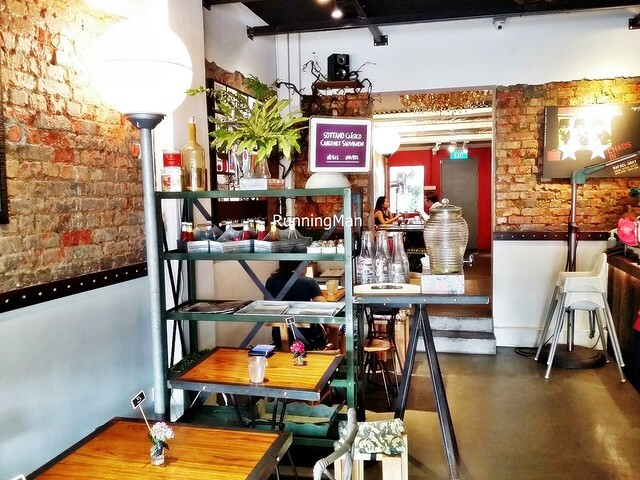 Back when they first founded Wild Honey (Cafe) in November 2009, the concept of a Western style breakfast / lunch was just starting to take root in Singapore, and the subsequent Brunch trend is partly due to their success with Wild Honey (Cafe). Now they're hoping for a second go at another niche, the classic New York Delicatessen. 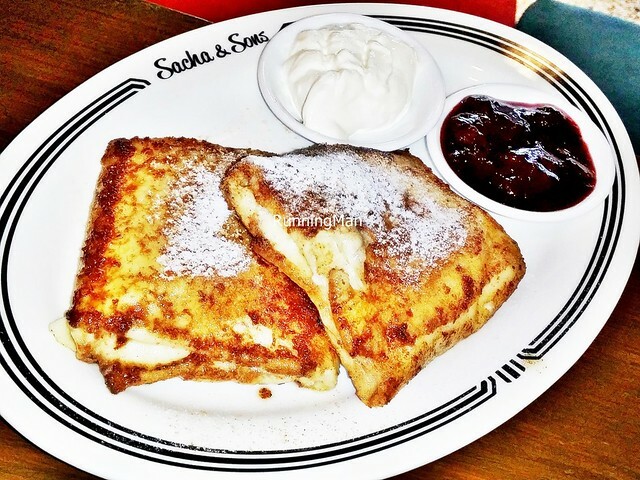 Named after their son, Sacha & Sons opened its doors in December 2014. 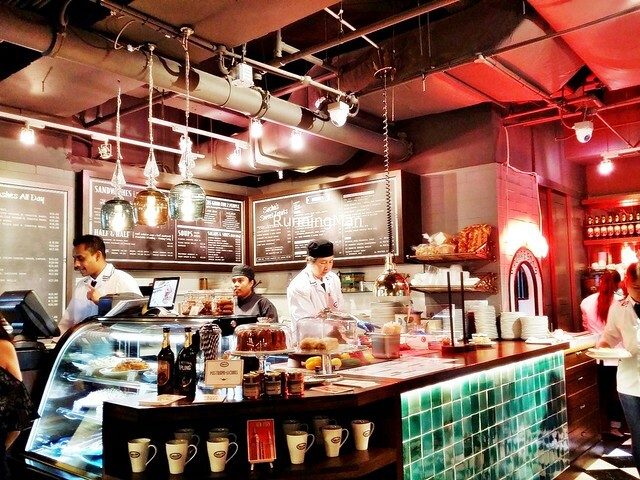 Styled after the classic New York Delicatessen / Deli, Sacha & Sons offers traditional American / Russian / Jewish food that, as of the time of this writing, can't be found anywhere else in Singapore. 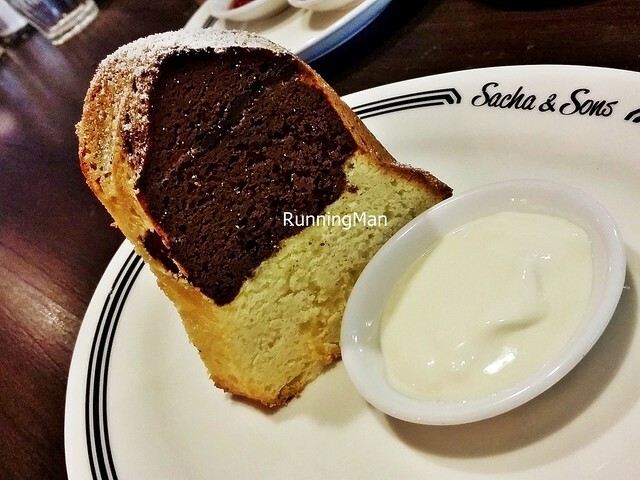 And it's not just deli food, but the entire experience of a typical deli, that makes Sacha & Sons stand out. 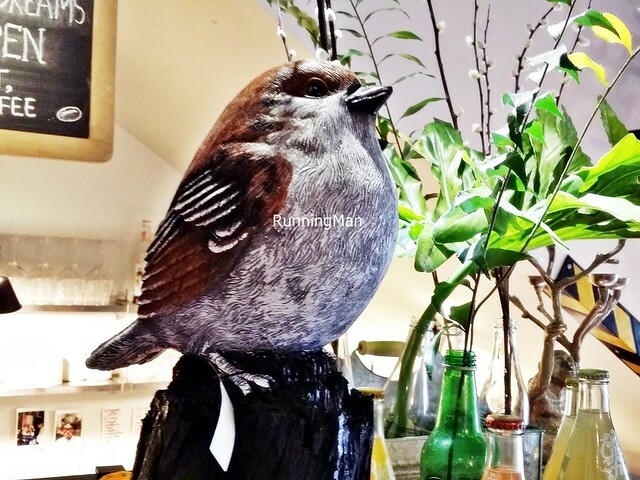 Ambience at Sacha & Sons is part of the appeal. 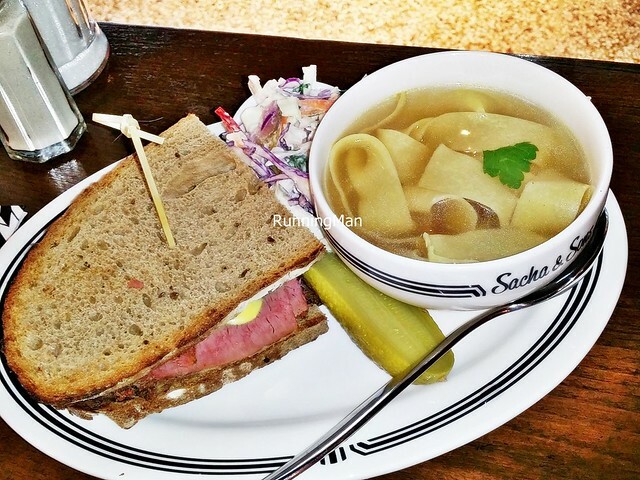 Just like a typical New York Delicatessen / Deli, Sacha & Sons has a deli counter which displays their wares, including their home made side dishes and the mouth watering sandwiches. Chalkboard menus flank the walls behind the counter, while staff dressed in traditional deli garb (white, long coats, with black tipped collars) complete the look. Furniture is in dark wooden tones, and good use is made of the small space to maximise seating, while curious patterns adorn the ceiling where quirky lampshades hang. There is an overall vintage appeal to the place. My only complaint is that Sacha & Sons has rather dim ambient lighting, making the place seem dark. Service at Sacha & Sons also resembles a typical New York Delicatessen / Deli. You queue outside the premises, and the waiting time can be about 30 minutes during peak periods. 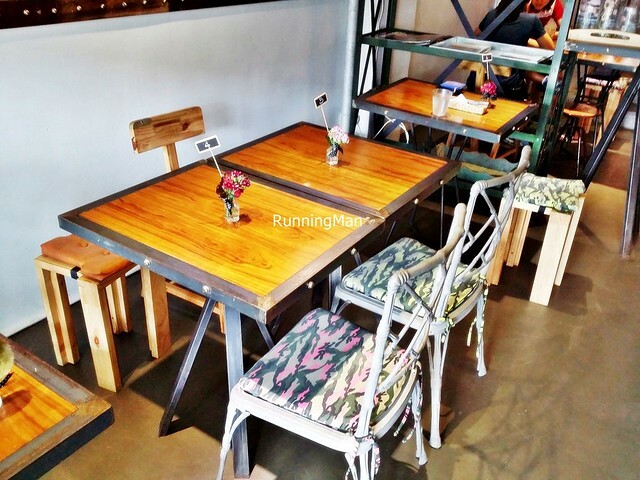 Once inside, staff bring you to your seat, and assign you the table number. You'll have to remember it, as ordering and payment is self-service at the deli counter, and the cashier will ask for your table number. 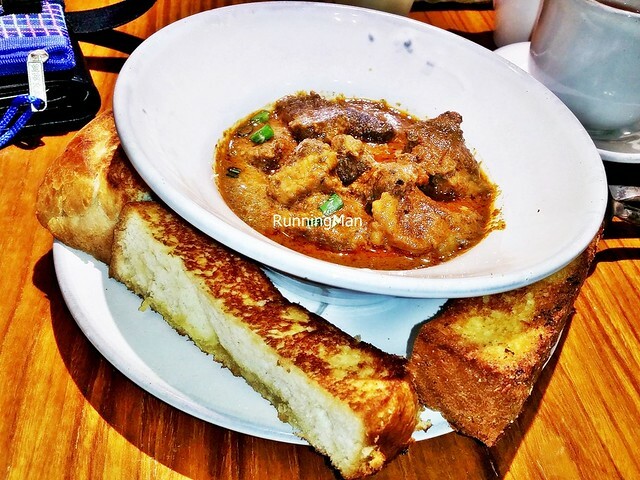 Orders will be served to your table, and waiting time for food is relatively short, around 10 minutes or so. While staff are knowledgable about the menu items, they tend to falter when asked about ingredients... But thumbs up for them as they do show initiative, and will write down the information from the chef before coming back to you with the answer. Tip: Do decide on what you'll order before queuing, to prevent holding up the queue. 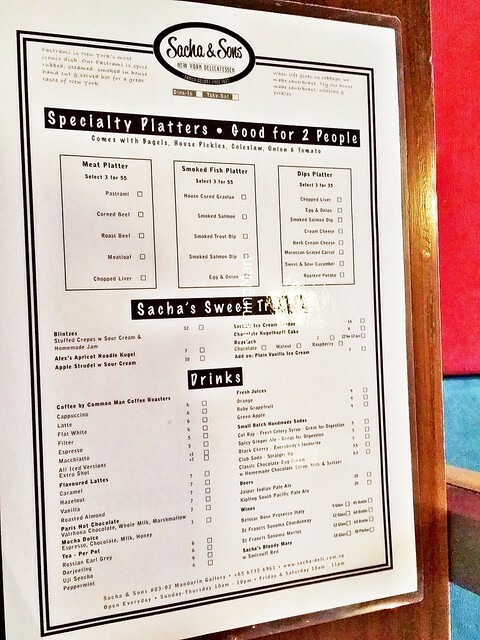 Food at Sacha & Sons features traditional Delicatessen / Deli classic dishes, which is a mix of American / Russian / Jewish influences. Many items in store, including their salads, pickles, bagels, and gravlax (cured salmon that isn't smoked), are made fresh, by hand, daily. In particular, their beef pastrami is outstanding, made with an in house secret recipe that involves the beef brisket being cured and cooked over hours, then steamed on site, and hand carved before serving. Do note that while food here is not kosher, there is no pork and no lard used. Portion sizes for most dishes tend towards large enough for 1 person, and may be shared. Prices are comparable to other mid to high end restaurants, expect to spend anywhere between SGD $25 to $40 per person for a meal. 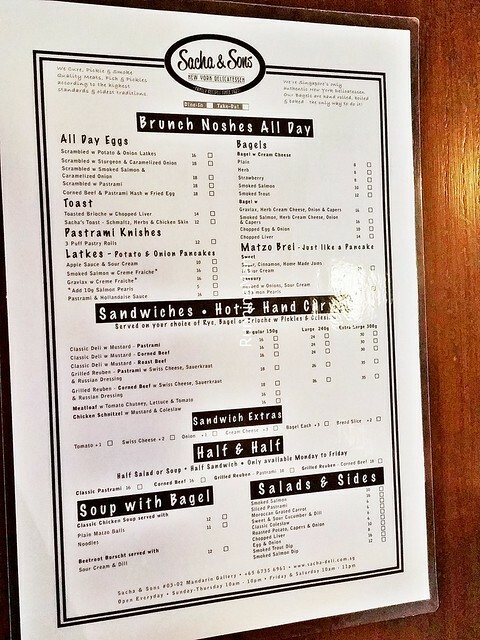 The place has a vintage deli appeal, but is comfortable and clean. The menu has clear descriptions of dishes, but I do wish there are photographs to give an idea of portion sizes. 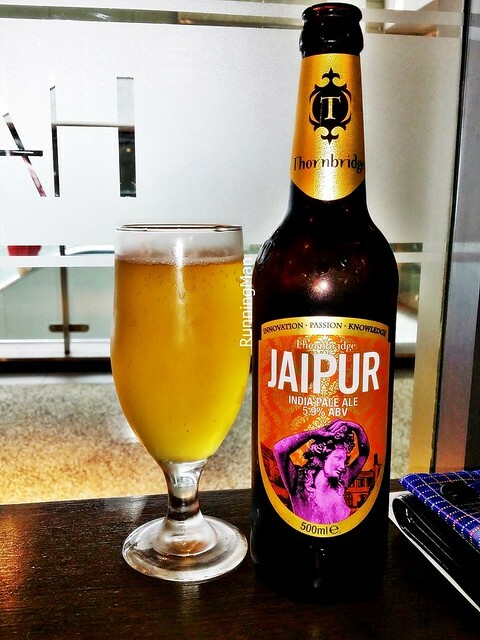 The Beer Jaipur India Pale Ale (SGD $20) is a clear, golden ale with a medium thick head, grassy citrus aroma with a hint of lemon and tropical fruits, smooth, dry texture with a light bitterness, very refreshing! Pity it's so overpriced here, avoid ordering as you can get it cheaper elsewhere. 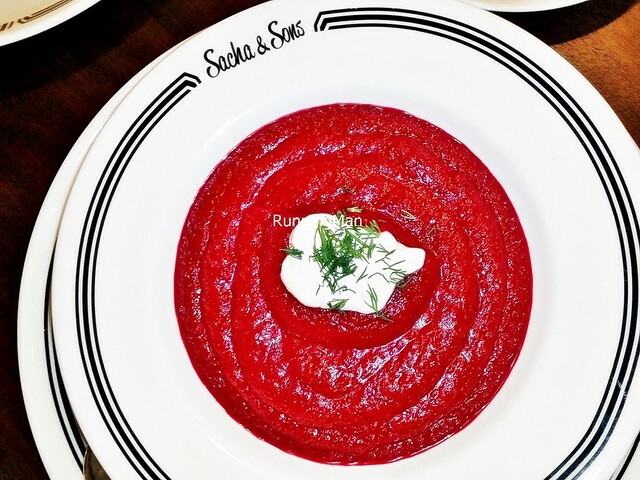 Borscht is a classic Russian soup / stew, that may either be served hot, or cold. 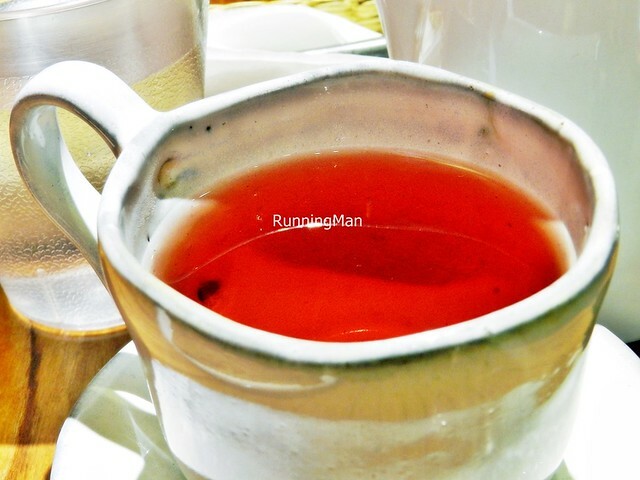 Often made using beetroot or tomato as a base, it may also include other vegetables or even meat to make it more hearty. 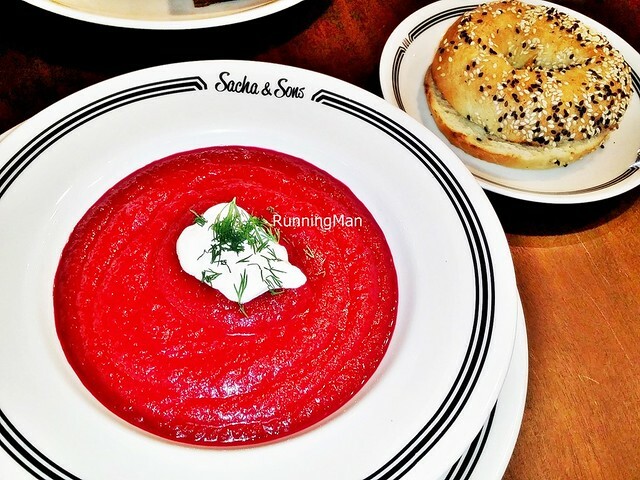 Their version of Beetroot Borscht With Sesame Bagel (SGD $12) here also uses beetroot as a base for the soup / stew, but doesn't contain any other ingredients apart from a dollop of sour cream, and herbs. The Beetroot Borscht here is thick, rich, and creamy, with a coarse texture, much thicker in texture than any version I've had in Moscow, Russia, though the taste is just as piquant and tangy. The sour cream adds a hint of sour taste to each mouthful. 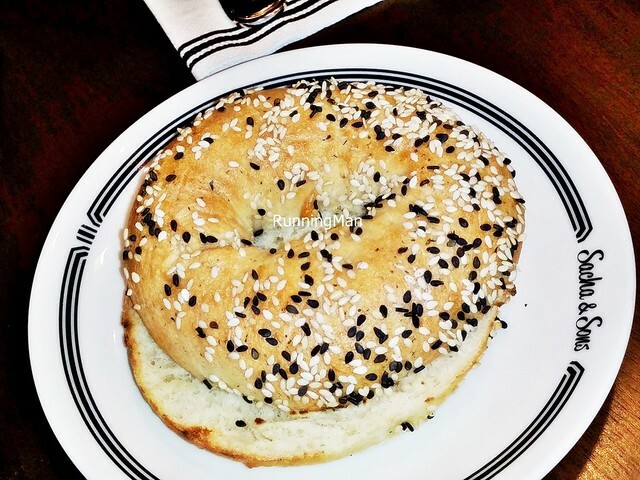 A hand rolled Sesame Bagel is served on the side, and it's incredibly tasty, soft with a nice dough texture, yet light, and the aroma of toasted sesame seeds is so fragrant! 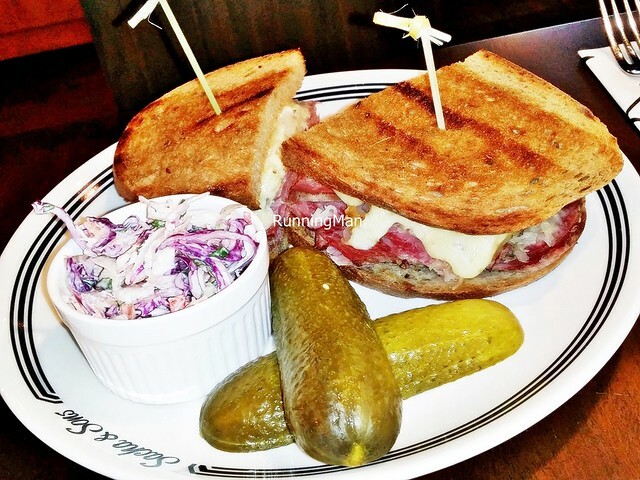 The Grilled Reuben Sandwich comes with your choice of Pastrami or Corned Beef, and a choice of Rye Bread, Bagel, or Broiche. You'll also have to choose the portion size from a Regular (150gm, SGD $18), a Large (240gm, SGD $26), or an Extra Large (300gm, SGD $35). 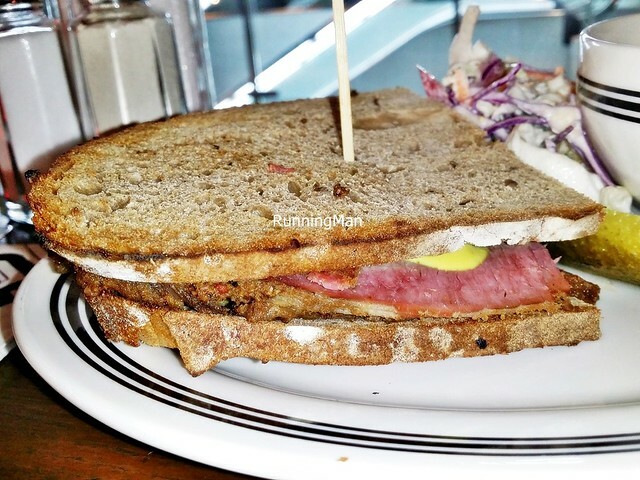 I tried the Grilled Reuben Sandwich With Pastrami On Rye Bread (150gm, SGD $18), which features their excellent beef brisket pastrami, dry rubbed with secret spices then cured, cooked for hours, steamed, and hand carved into thin, savoury strips. 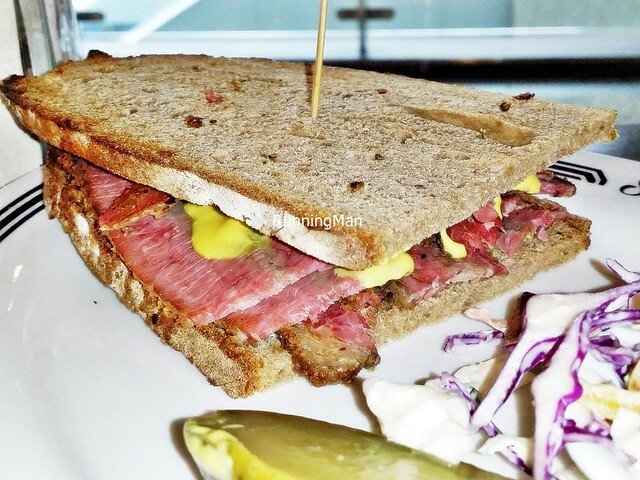 The pastrami has a nice pink hue, and each bite is savoury with a smoky aroma. The texture isn't too tough, but the meat borders on dry. Traditionally paired with Rye Bread, the version here is crisp, with the fragrant aroma and flavour of wheat, and shatters nicely when bit. The sandwich also contains their house recipe Sauerkraut, a tangy, slightly sour, finely chopped pickled cabbage, that pairs well with the gooey melted Swiss Cheese, and piquant Russian Salad Dressing within. Served on the side are tangy, juicy, and slightly sour dill pickles, and a fresh, slightly sour coleslaw, all made in house. 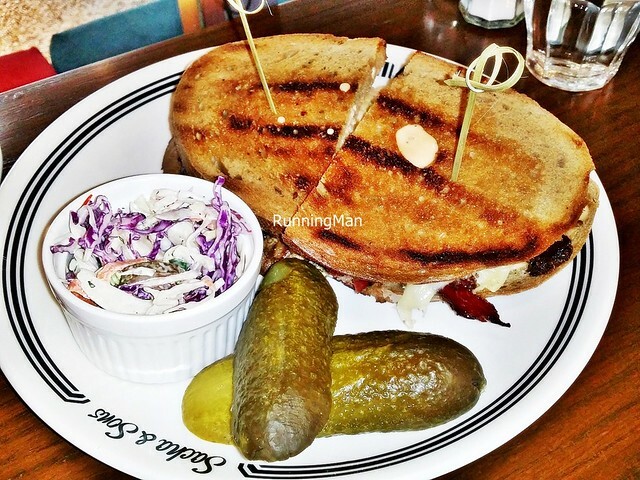 Interesting to note that a traditional Grilled Reuben Sandwich With Pastrami On Rye, in the United States Of America, is actually called a 'Rachel Sandwich', because the classic Reuben Sandwich is made with corned beef on rye bread. 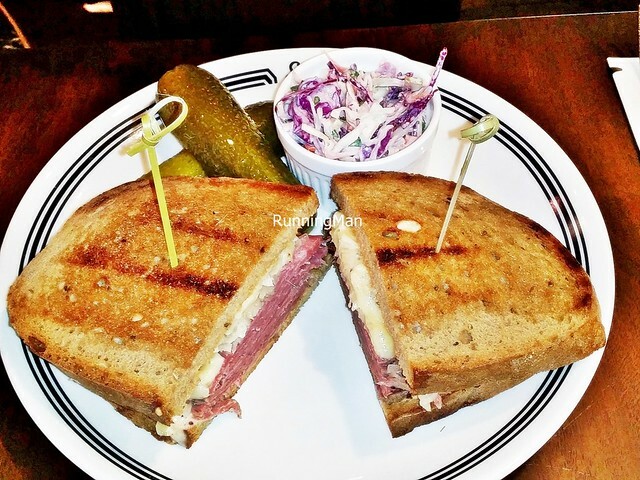 The traditional, classic American style Reuben Sandwich is a hot sandwich of corned beef, sauerkraut, Swiss cheese, and Russian salad dressing, between slices of rye bread. 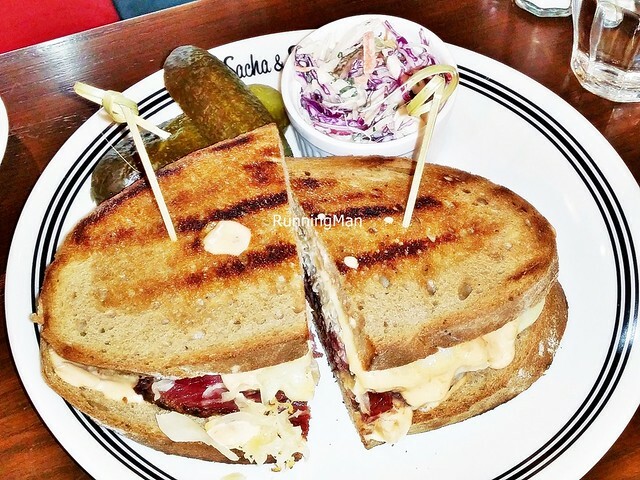 Their version of Grilled Reuben Sandwich With Corned Beef On Rye (150gm, SGD $18) stays true to the original versions sold in New York, United States Of America, served with the yummy house made dill pickles and coleslaw, and is incredibly flavourful and moist. 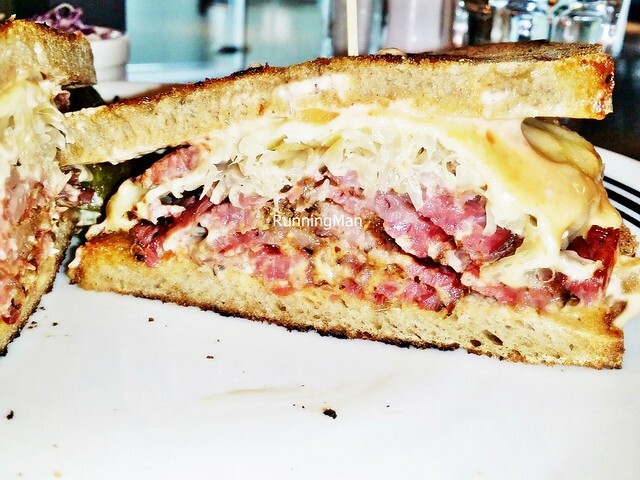 Biting into the Grilled Reuben Sandwich With Corned Beef On Rye, you get the crisp shattering of the fragrant Rye Bread, followed by the slightly sour, crunchy Sauerkraut, then the savoury, salty aroma of the moist Corned Beef. So good that you can't stop eating it! 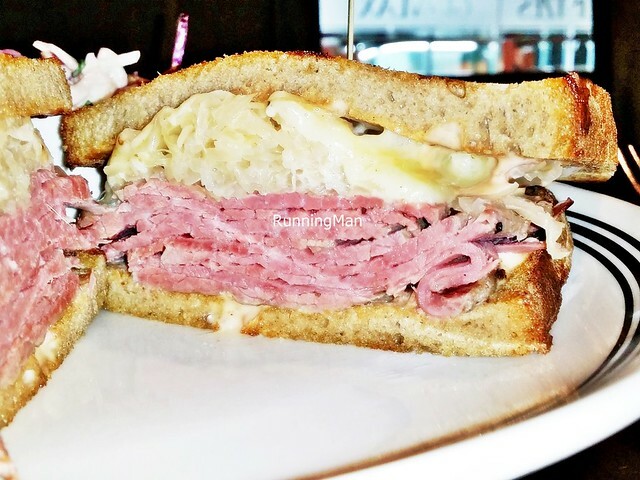 A point to note: the difference between pastrami and corned beef, although both use beef brisket, is that pastrami is dry rubbed and smoked, while corned beef is salt cured in a seasoned brine, not smoked. 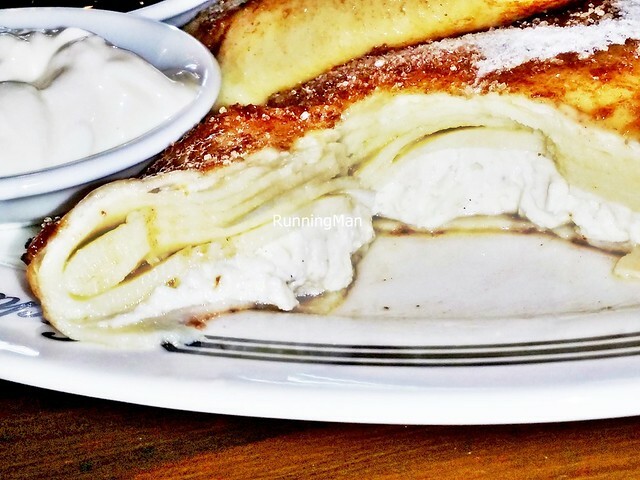 In Russia, a Blintz is a thin pancake, normally thinner in texture than a Blini, and Russians normally eat these stuffed with various fillings, or rolled and topped with various ingredients and sauces. It can be a savoury or a sweet dish, and is usually baked or pan fried. 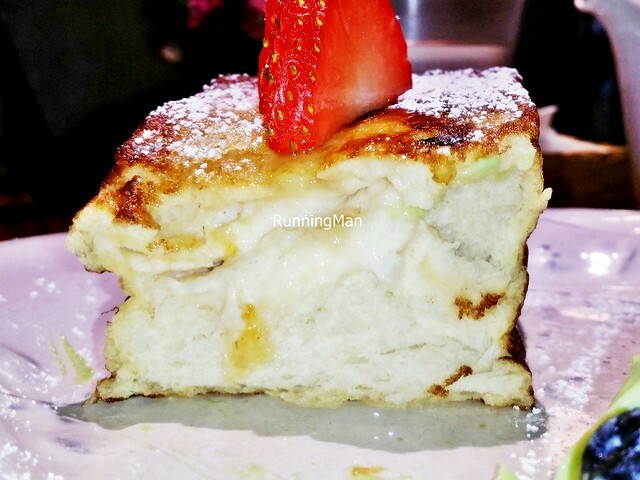 Eastern European Jewish immigrants usually stuffed a Blintz with cheese, and serve it during Hanukkah. 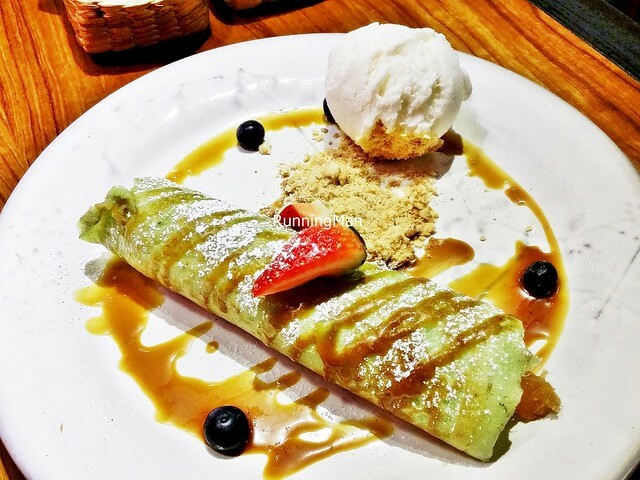 The Blintzes (SGD $12) here resemble the Jewish version, which has the pancakes rolled into layers, then stuffed with cheese, lightly pan fried till the outside is savoury with a slight crisp texture, and served dusted with icing sugar. 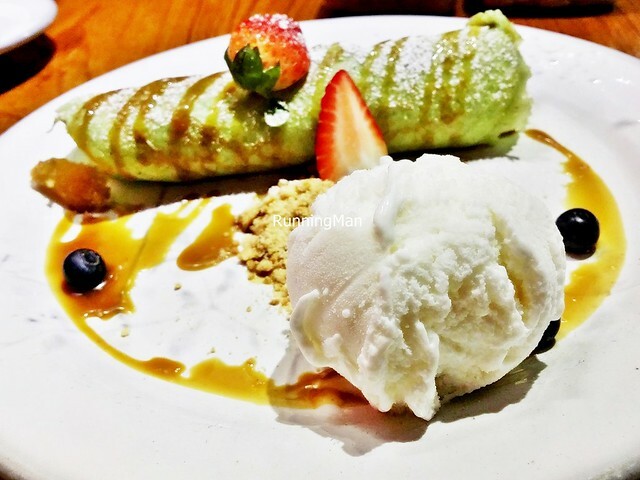 Chef has chosen to stuff the Blintzes with a mixture of mascarpone and ricotta cheese. Cutting into the pancake, you'll see nice layers, with the crumbly cheese stuffed into a pocket. Consume these by topping each slice with a dollop of both sour cream and a home made cranberry jam, which are served on the side. Taste is sweet at the front, then you get a slight hint of savoury from the cheese, and the texture is so soft. Not too outstanding in taste, but this does closely resemble traditional versions. Returned to sample the Half & Half (SGD $16), which is perfect for small eaters. 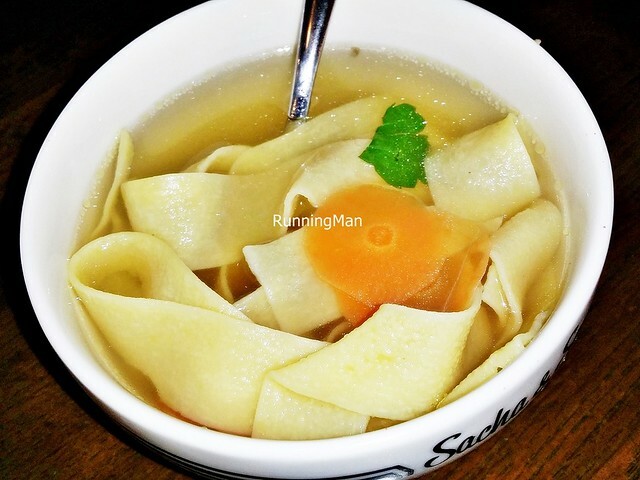 I got the Classic Chicken Noodle Soup, a savoury, clear broth with a hint of sweetness, enhanced with sliced carrots and a flat, wide, egg noodle. 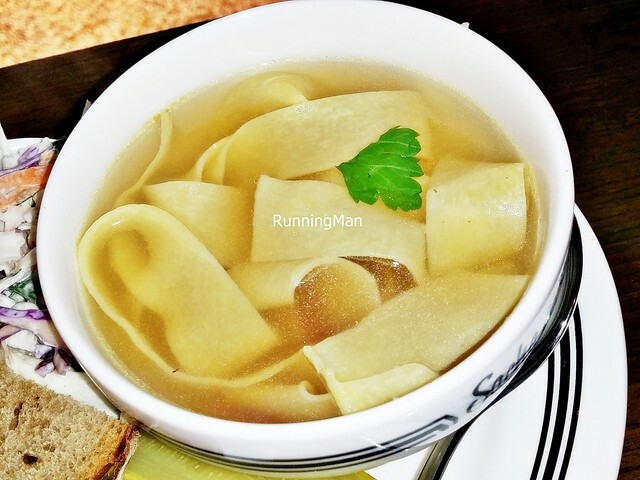 This classic American home cooked comfort food soup is done very well here, but ultimately, is only average as a dish. The Classic Deli Sandwich With Pastrami And Mustard On Rye Bread though, features their signature beef pastrami front and center, with no other ingredients or condiments except a tangy yellow mustard and rye bread. I find this to actually be just as tasty, as the savoury notes really shine here, but the lack of moisture means this borders on dry. 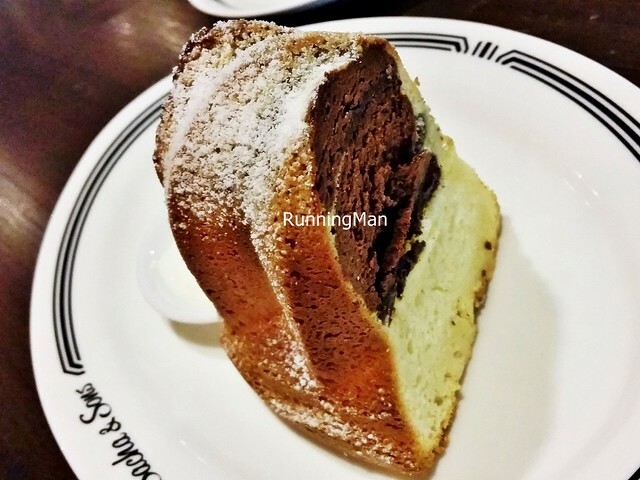 The Chocolate Kugelhopf Cake (SGD $8), also known as a Gugelhupf Cake, is a popular dessert bundt cake in Germany and Switzerland. The soft, moist cake is properly sweet with a zesty lemon sponge base and a rich chocolate top, a nice slightly crisp crust, and completely delicious. Served with a side of sour cream, which helps to cut through some of the sweetness of the cake, and works surprisingly well together.